This week’s photo prompt is provided by Louise with The Storyteller’s Abode. Once you’ve ascended the steps, there’s a fabulous view of the village. The walk up can be difficult though. The steps are the wrong kind of steepness, the type that make you wince at the lactic acid shooting through your legs, and make you wish you’d said no to that beer the night before. We always went there but this time it was my suggestion. I readily agreed; figured it might be easier somewhere like that. Might cushion the blow; make what I had to tell her easier to bear. But then I saw her. She was blowing on her hands, looking around for me. She seemed so happy, expectant almost. I couldn’t do it to her, not today at least. So before she caught sight of me, I turned around and ran. Back down the steps and back to my safe, little life. Descending was always so much easier. I love the build-up of mystery, becoming build-up of tension in the middle and the surprise twist at the end! Great story! I enjoyed reading it! 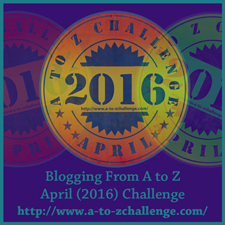 Welcome to the FFfAW Challenge! We are happy you have joined us!